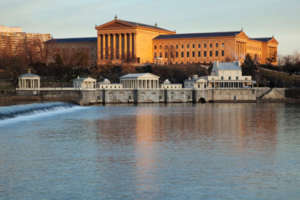 Philadelphia, the City of Brotherly Love, home of the Philly cheesesteak and Rocky Balboa, is a city where American history runs deep and neighborhood ties run even deeper. A growing industrial giant, Philadelphia is quickly becoming a heavy-hitter in the telecommunications, insurance, food services, and pharmaceutical sectors; every day, more experts and wealthy families from around the world come to Philadelphia to contribute to its historic success. Philadelphians are known for being extraordinarily passionate about their careers, their sports teams, and most of all, their families. Philadelphia’s most successful citizens know just how essential it is to find the right domestic staffer to bring into their lives, which is why countless families have turned to Pavillion Agency. For more than 50 years, Pavillion has provided an unmatched level of domestic staffing services that well-respected Philadelphians have come to rely on. What sets Pavillion apart? We are a one-stop shop for household staffing solutions. Our agency offers job placement services (permanent, temporary, or temp-to-perm), payroll processing, benefits consultation, and in-home staff training. Let us show you the Pavillion Agency difference!